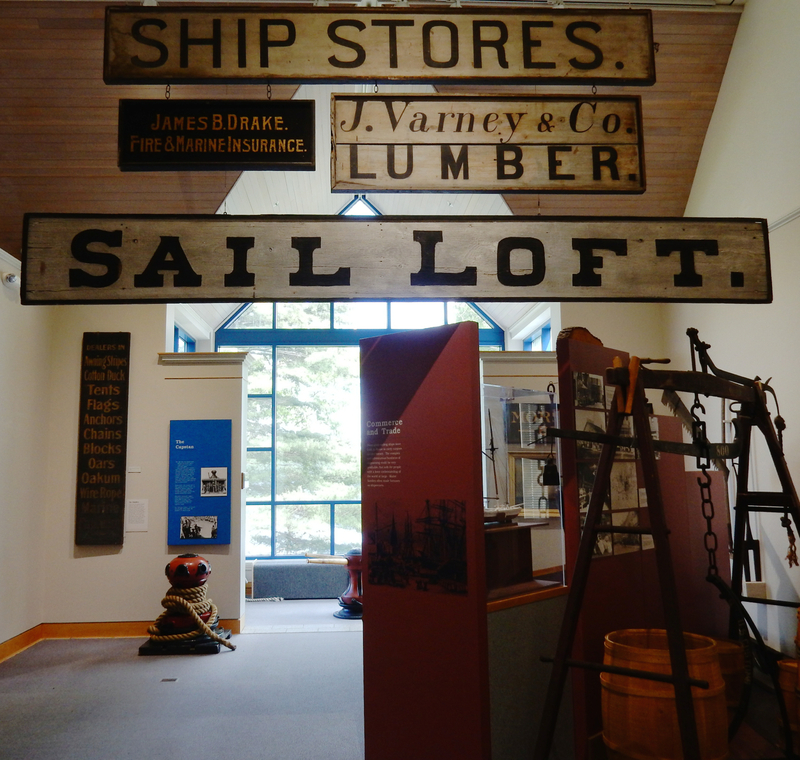 WHY GO: Maine was a shipbuilding powerhouse, and still is, which is why the phenomenal Maine Maritime Museum is located in Bath – still home to mega-boat-builder, Bath Iron Works. But Bath is just 10 minutes from one of the best college art museums in the country – Bowdoin Museum of Art – and 20 minutes from one of the last surviving authentic Maine Family Resorts, Sebasco Harbor Resort on the lesser-traveled Phippsburg Peninsula. 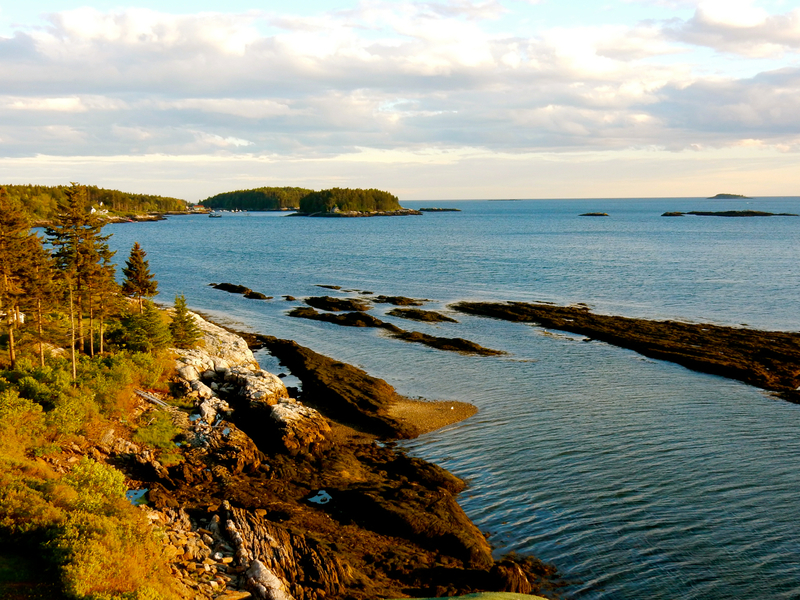 So, gear up for a great getaway full of American History, Art, and Recreation on this often overlooked portion of Coastal Maine. 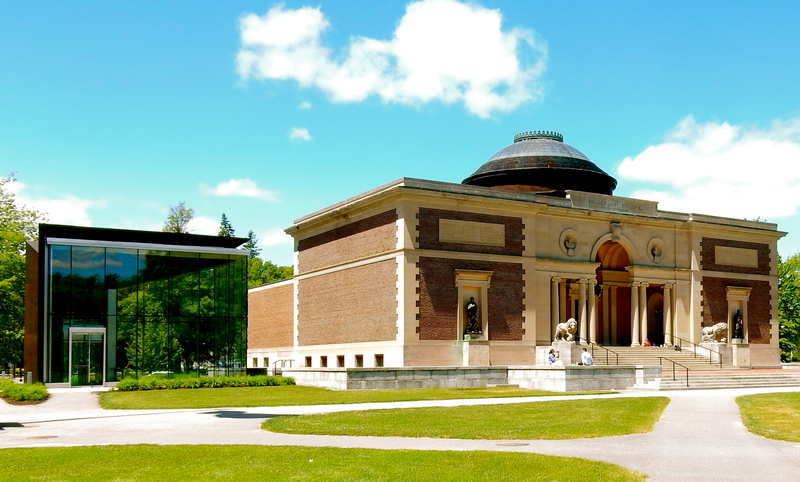 VISIT: Bowdoin Museum of Art, Brunswick. Enter through a glass cube into a wonderfully eclectic museum filled with everything from Assyrian cuneiforms to avant-garde video installations. This is a vibrant place, endowed in 1794 by James Bowdoin III whose 1811 bequest established the earliest collegiate collection of European paintings, drawing and prints in America. The murals, in the soaring, Walker Art Building’s rotunda, are “designed to inspire,” as Bowdoin considered “art as high point of Western Civilization.” Bowdoin Museum of Art certainly is a high point among college museums, and very much worth visitng. Open Tues-Sat 10-5 (Thurs till 8:30pm), Summer Sundays Noon-5, Free. 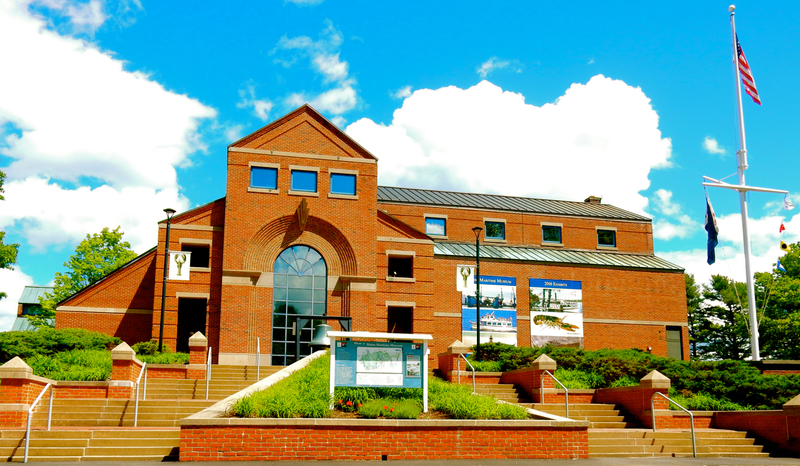 VISIT: Peary-MacMillan Arctic Museum on Bowdoin campus, Brunswick. Most visitors come to Bowdoin for the Art Museum, never realizing that this is here. 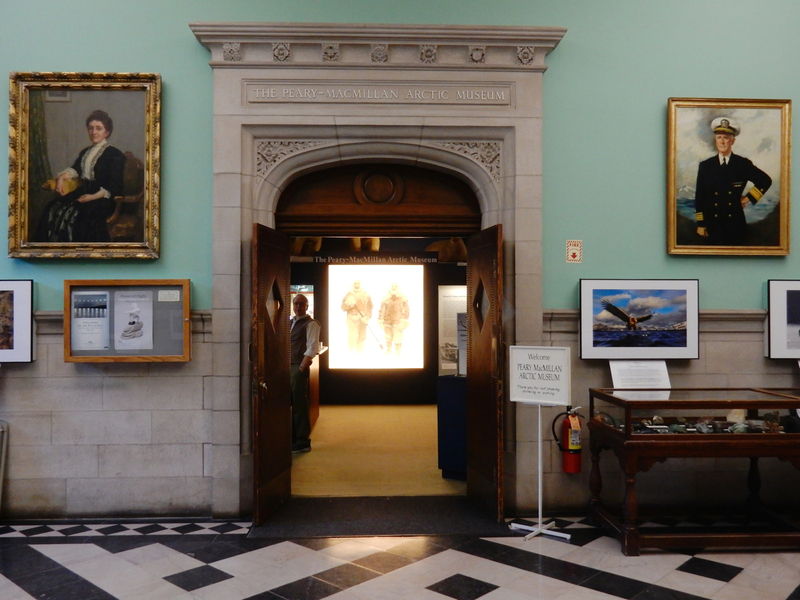 But as eclectic museums go, this one is tops – celebrating the indomitable spirit of world exploration at the dawn of the 20th century, specifically Arctic expeditions conducted by Robert Peary (class of 1877) and Donald MacMillan (class of 1898) who together in 1908 were the first humans to reach the North Pole and record it. 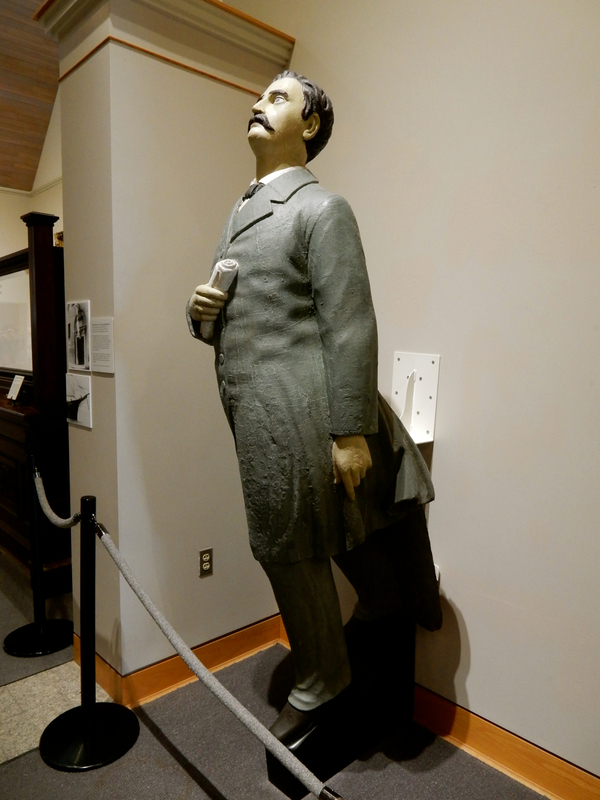 Exhibits are full of fascinating trivia, including remnants from a box of Grape Nuts Cereal that MacMillan loved, and items from the Crocker Land Expedition – a failed attempt to find a new arctic landmass, which was proven to be merely an optical illusion. Open Tues-Sat 10-5, Sun 2-5, free. 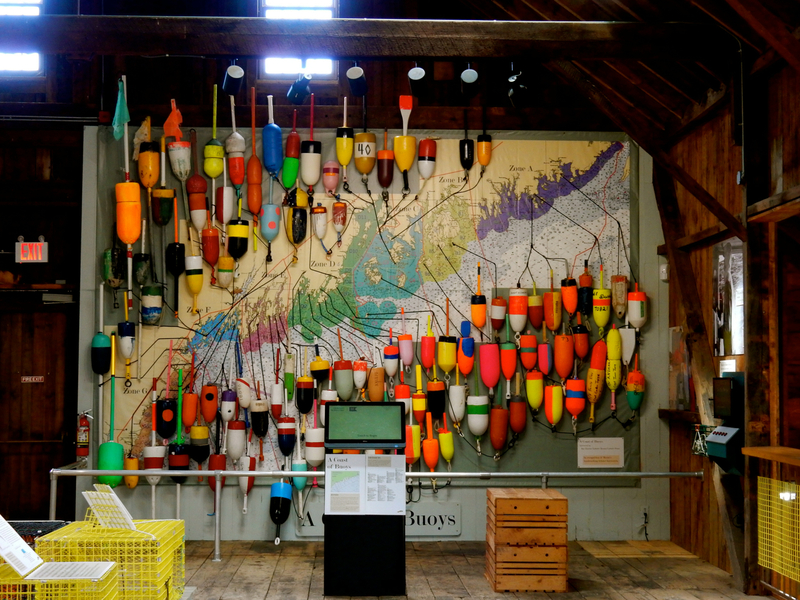 TOUR: Maine Maritime Museum, Bath. 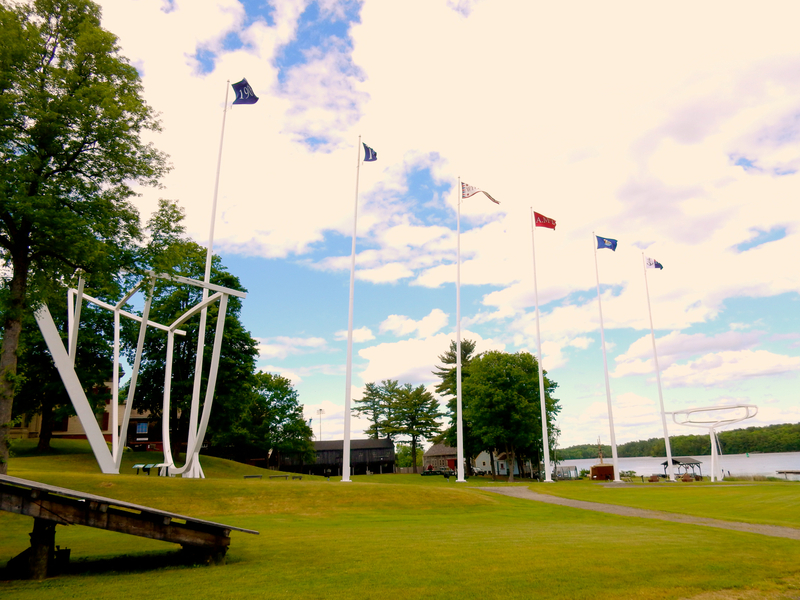 On the Kennebec River property of Percy and Small Shipyard – shipbuilders known for constructing the best multi-masted Schooners in the late 1800’s and early 1900’s – the Maine Maritime Museum complex offers a compelling look at how boats were designed, made and launched prior to computers and electronics. 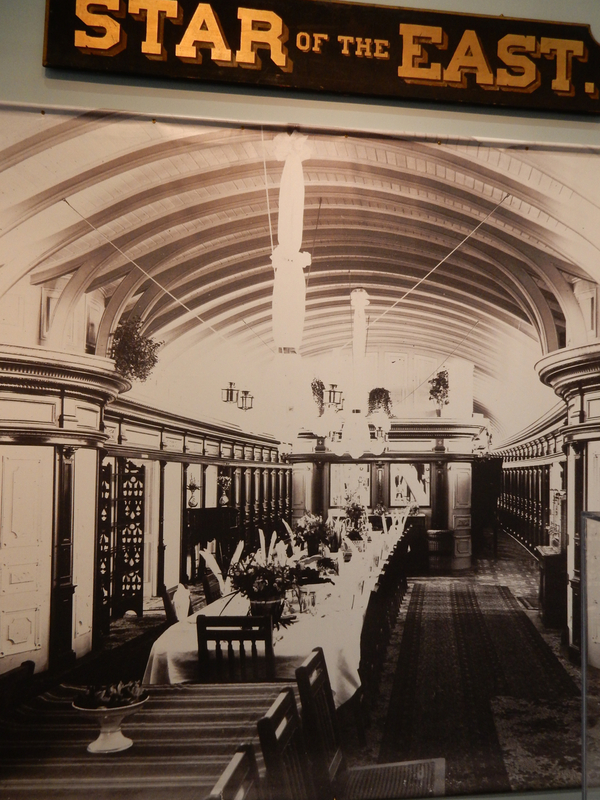 (The Museum was moved from its downtown Bath location in late 1980’s). Most astounding is the contemporary white sculpture that outlines the dimensions of the Schooner Wyoming, the largest sailing vessel in the USA, constructed right here in 1909. At 50 ft. wide, 40 ft. tall and 329 feet long, to exactly full-scale, the artistic interpretation of the Wyoming takes up most of the property with a bowsprit that projects out nearly across the street. Though the museum property includes multiple buildings, start in the Visitor’s Center galleries, which provide an overview of industry here. In early days, Mainers made their living exporting lumber, fish, sardines, whales, granite, other stones, and later, coal. Steamer tourist boats, built like 5-star hotels, plied the waters. Companies here traded with merchants in the south – bringing up cotton to be processed in New England mills. The waterways were the key to wealth, and forests of trees were ready resources for boat building. Bath was nicknamed the “City of Ships,” with 26 independent shipyards located here between 1820 and 1890. It’s easy to take a self-guided tour of the property: Walkways steer you from one building to another. 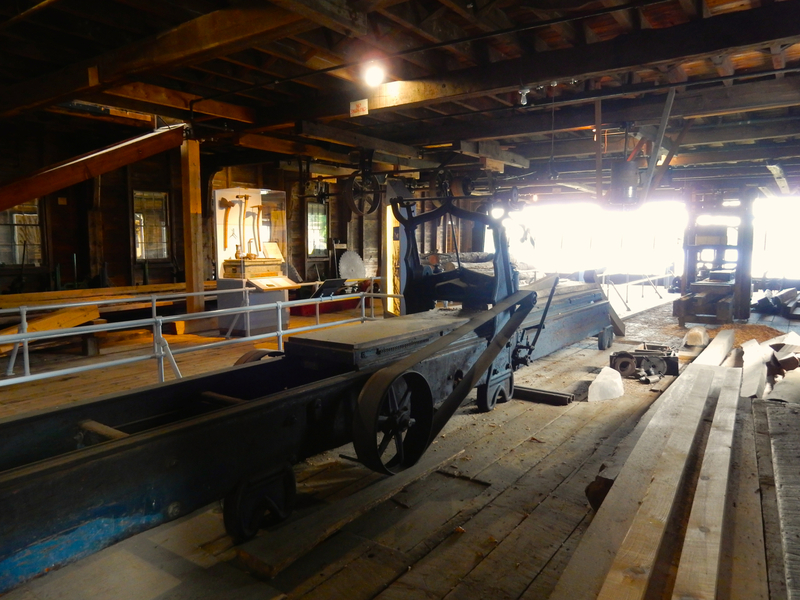 First, stop into the Mill Shop, where you’ll hear sounds of sawing, shouts, and processing wood. From there, step into the Donnell House, which belonged to the shipyard owners. Before leaving, don’t miss a miniaturized reenactment of the way these behemoths were launched, and a colorful new exhibit about the Maine lobster industry. To get a terrific overview of the many components, steps, exactitude, brawn and engineering prowess required to build these great ships, sign up for a guided tour given 11, 1, and 3 each day (free with admission). You’ll finally learn about the fate of the Wyoming, which I will not divulge here. $15 adults, $10 kids, open daily 9:30-5. PHOTO OP/SHOP: Downtown Bath. 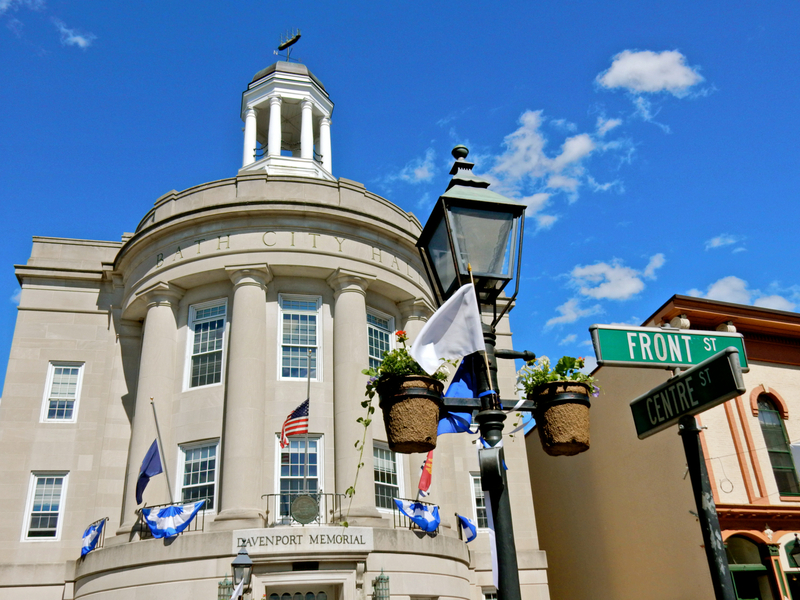 Stand on the corner of Front and Centre Streets for a great picture, then peruse the shops and restaurants of a lively, restored downtown within sight of the imposing Bath Iron Works. 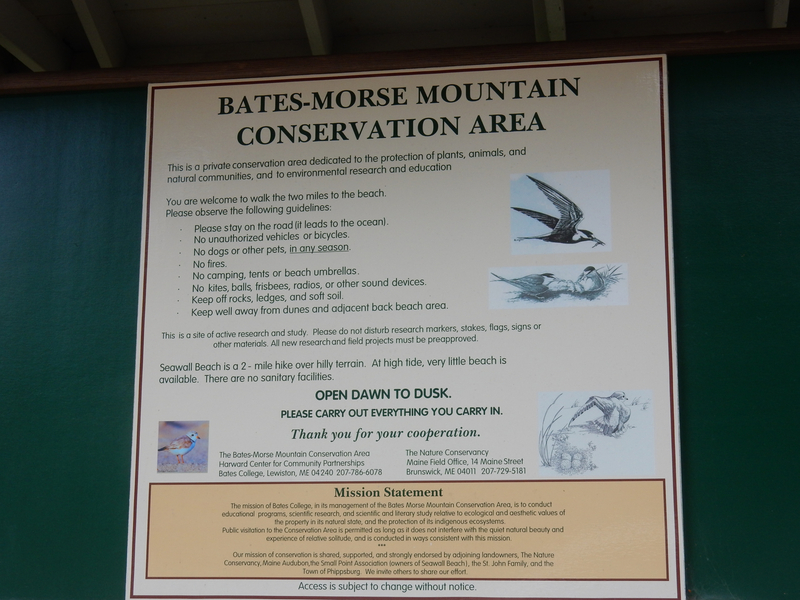 HIKE: Bates Morse Mountain Conservation Area. It’s a four mile round trip to the summit and down to the beach of this conservation area. Not many outsiders know about it, and residents would like to keep it that way. 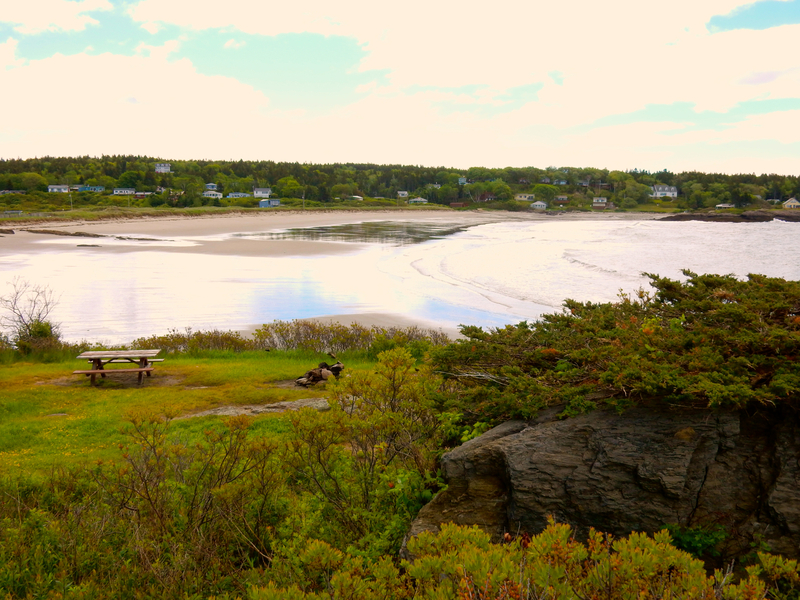 There are actually 31 miles of public hiking trails on the Phippsburg Peninsula, most owned by the Land Trust. Directions can be accessed at phippsburglandtrust.org. CAMP/RUSTIC BEACH: Hermit Island, Head Beach. This hidden gem is one of the most popular places to pitch your tent in Maine, with sites sold out quickly on January 1st when reservations open up. Tent camping only. Small seafood shack on property. SWIM: Popham Beach State Park. 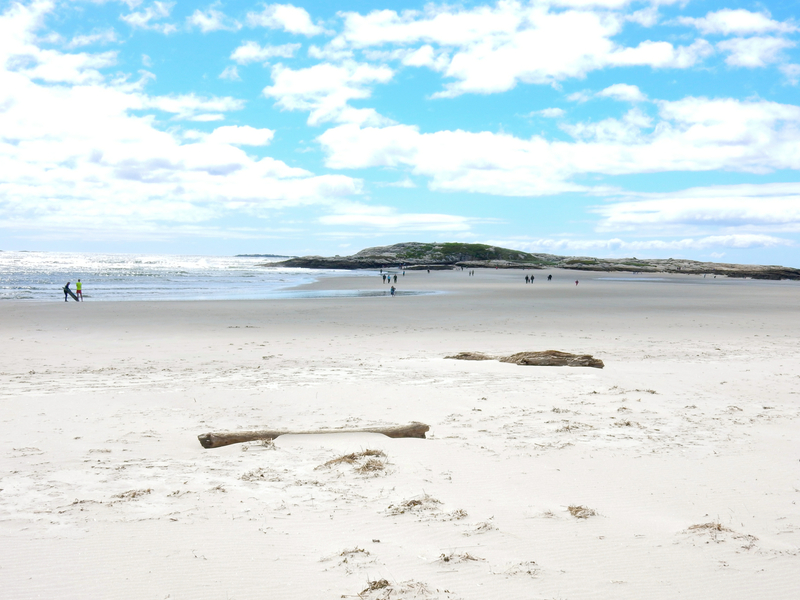 On a hot summer day, though thousands of people come to Popham Beach to swim, the place feels practically barren. 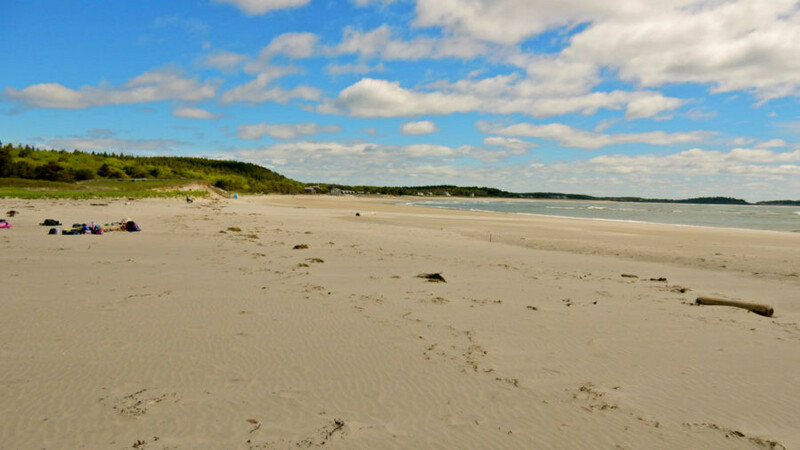 That’s because the soft sand extends three miles at the mouth of the Kennebec River, and there’s plenty of room for all. 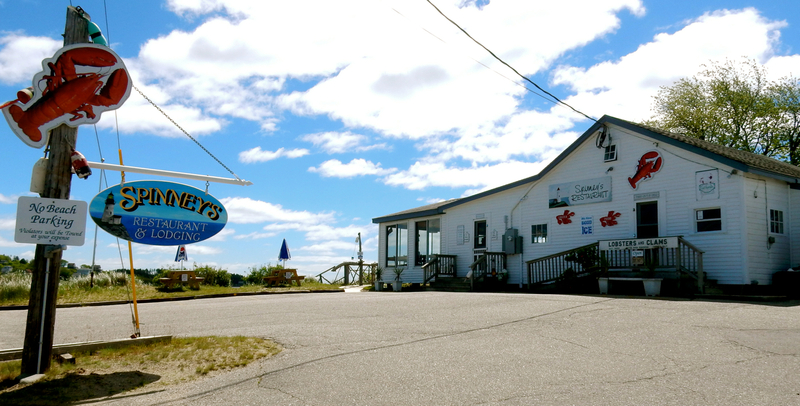 A local and Maine favorite, many tourists don’t even know about it, making a visit here all the more delicious. $8 per person. STOP: Fort Popham. Built in 1861 during the Civil War to protect the shipyards and shipbuilders in Bath, this fort at the entrance to the Kennebec River was never completed, but it’s fun to wander around the well-marked ruins. EAT: Pilot House at Sebasco Harbor Resort. 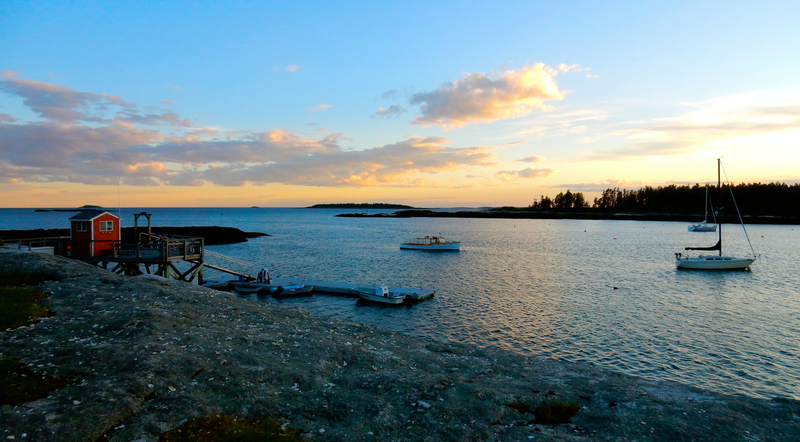 Reasonably priced “Flavors of Maine” cuisine (read: great Lobster, Scallops, Atlantic Salmon), and sunset views to beat the band. EAT: Spinney’s, Popham. Real casual. Real Maine. EAT/PROVISION: Percy’s (next to Fort Popham), Popham. One of those local knowledge general stores that everyone gravitates to. Great breakfasts and ice-cream. Pick up live lobster (to cook in your Sebasco cottage house), and choose a bottle or three from fully stocked wine shelves. Rather surprising. STAY: Sebasco Harbor Resort. So many of these “family resorts” on the Maine Coast have floundered or faded, but not Sebasco Harbor Resort, which has managed to maintain a multi-generational, friendly, laid-back, ice cream days, rec-center-nights vibe while keeping up the standards of its rustic-chic lodging – some rooms even bordering on upscale.A Maven Favorite, you can find the rest of the coverage HERE.